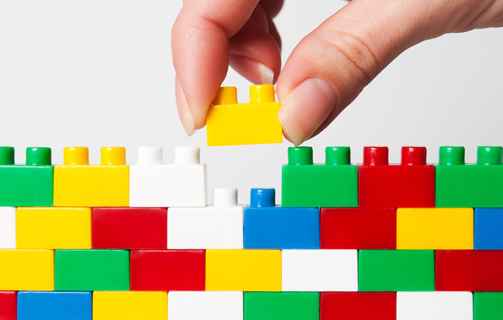 Get a complete picture of reports and metrics that really matter to you. world-class dashboards that make a difference. 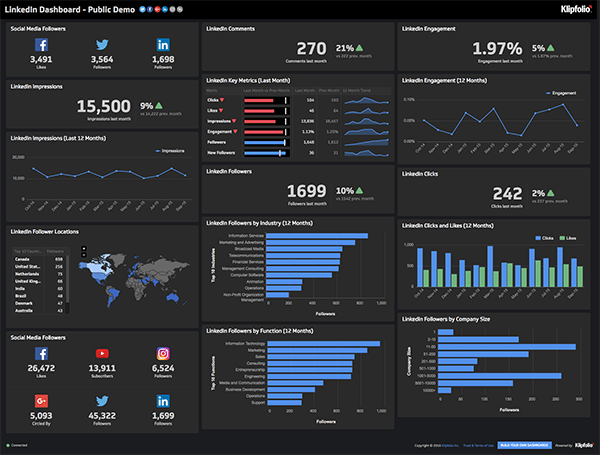 Cloud-based, custom-built dashboards with real-time access to game-changing metrics. Share business dashboards across the internet, TV monitors and mobile devices. Analytics that act in the way people think - Tableau helps your key stakeholders to see and understand data. Available in desktop, server, and cloud-based versions. 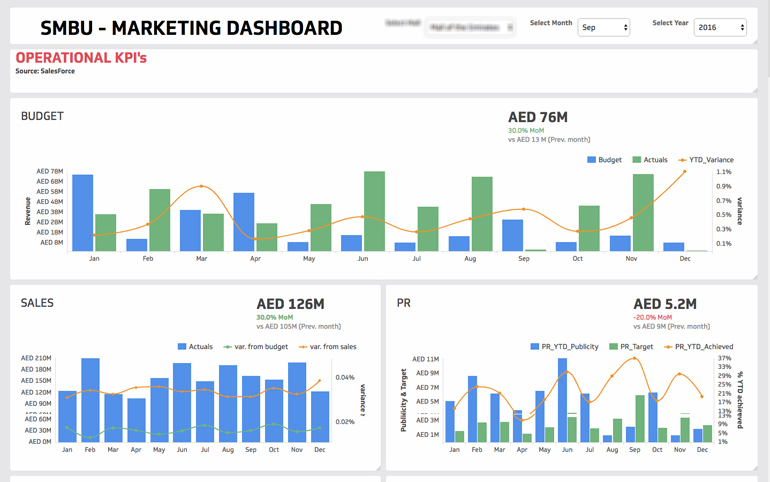 Turn your big data into beautiful and informative fully customizable dashboards and reports. They are easy to read, understand and share. Fully customizable, visually appealing dashboards to monitor specific parameters and factors. The information presented in the analytics dashboard is reliable beyond doubt. The digital analytics dashboard helps entrepreneurs and consultants to bring their products to market quality, differentiate themselves from their competitors and create revenue opportunities. 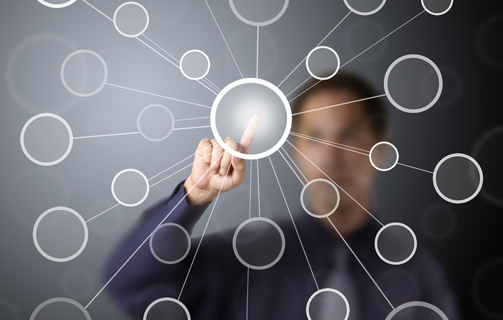 Instead of checking in on multiple platforms, it makes more sense to check in through a single centralized dashboard. 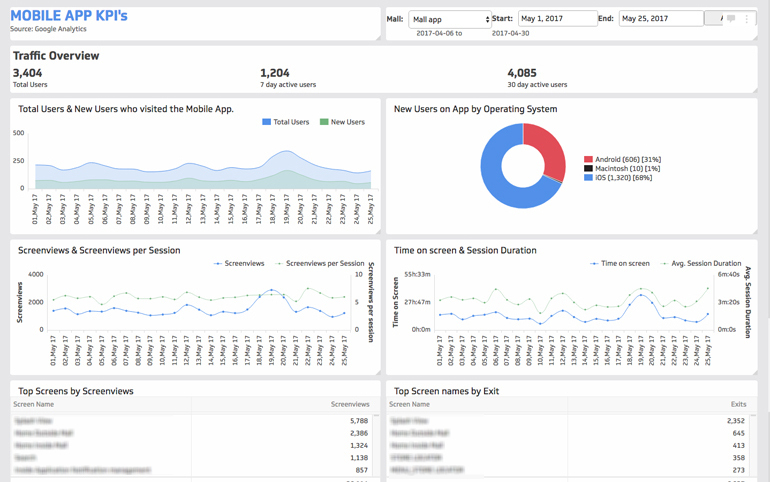 The digital analytics dashboard can reduce the time and resources spent on monitoring multiple platforms. Getting it a simple matter. 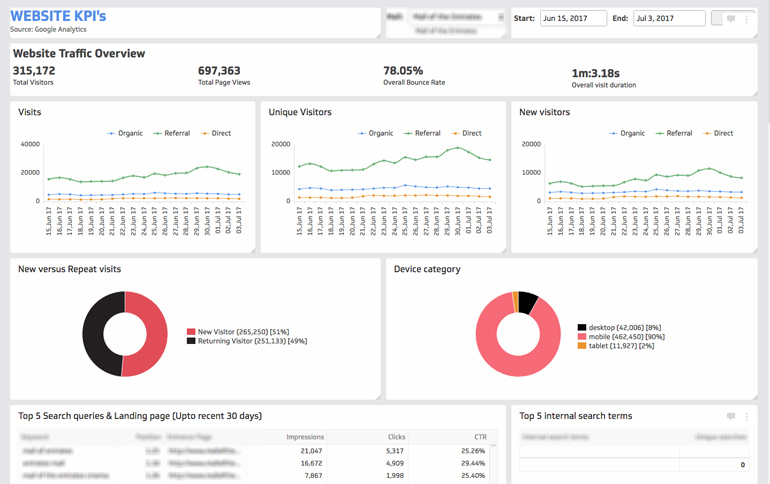 A web analytics dashboard provides you with an overview of widgets from various platforms. 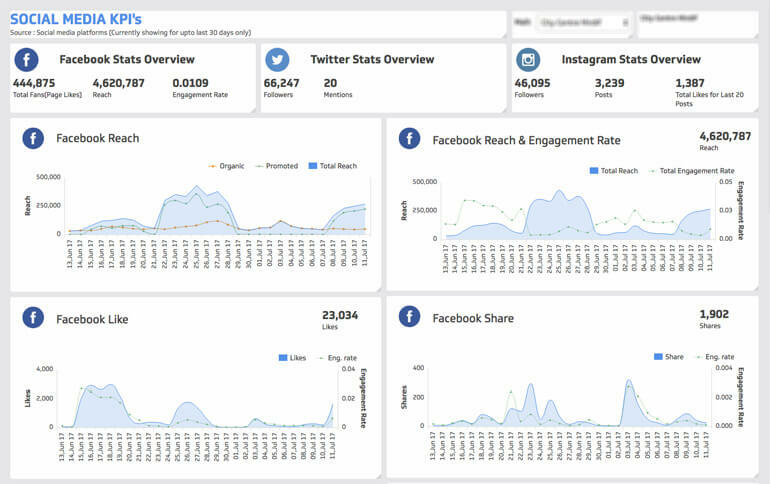 A social media dashboard makes digital analytics easier by reducing the time and effort spent on shuttling between various platforms. This way you can avoid wasting time logging in and out of different platforms. It can be accessed through mobiles, tablets and television. Take advantage of it today. 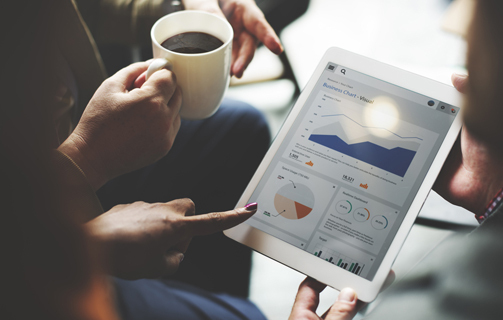 It’s not only a time saver but having all your digital analytics compiled in one online dashboard is going to help determine the growth of your business in a convenient way. A digital marketing analytics dashboard consists of analytics from Google, Twitter, Google Plus, YouTube, Bing, etc. all under one single panel. 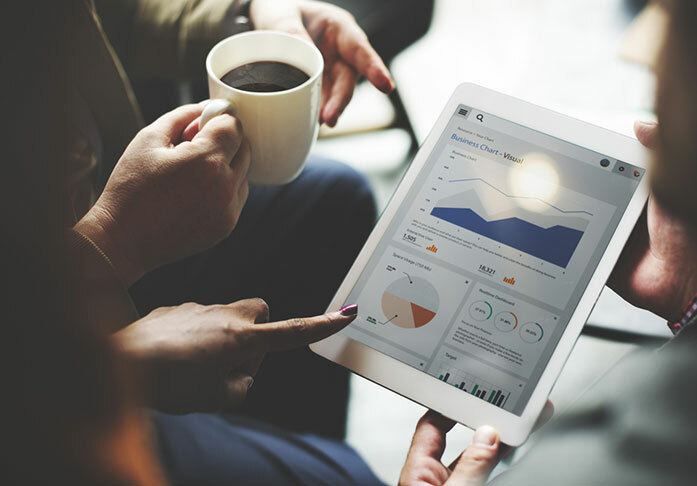 With Google analytics dashboard it will be easy to assess how you can bring your products to market quality and several other ways to bringing your business to level with your competitors. You can custom build your dashboard by determining how you want your dash to look and what analytics you require. You get to compare campaigns and products just by logging into one dashboard. 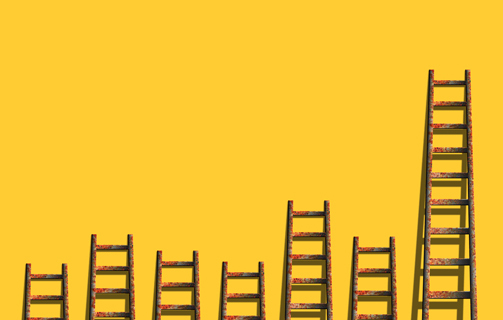 Introduce your audience to your best version of you.